Bad marketing will kill your startup business. And when your company dies, and you create a new one, lousy marketing will kill that one too. So what do you do? You need proven marketing steps and routines to help forge a path to success. To start, let’s get some key thoughts out of the way before I introduce you to the marketing routine framework that I have developed for founders and startups. First, stop assuming you will get your first 250 paying customers by a massive word of mouth campaign. Even if you’re solving a very common problem, a huge traffic bump from Product Hunt or TechCrunch is not enough to get past the pre-chasm stage. Be realistic in what drives sustainable growth that you can replicate every single day. Second, drop the idea that you need to release a feature before you market your product. It’s easy to procrastinate your marketing efforts when you want to release your killer feature first. Swallow your pride and start marketing your incomplete work. Finally, remember this whole process is an odds game. 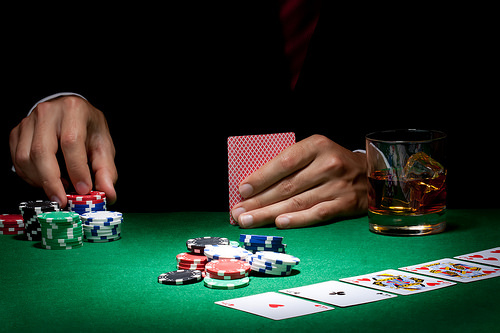 In poker, you can hold pocket aces pre-flop and lose, but that loss shouldn’t always change your decisions when you get pocket aces the second or third time. Assume your marketing efforts have a 10% success rate and try at least 10 times before pivoting to the next marketing effort. This guy’s holding pocket aces. This framework is a collection of hacks and processes I provided for my company and is a brute-force method to seek your alpha. Every day, follow the headlines below and learn how you can use marketing routines to grow your company like the ones you see on Inc 500. I wrote this post, as a software engineer, to bridge you into the mindset of a marketer, with content trimmed down to inbound-minimal-viable-marketing. You should feel uncomfortable and you should feel this is “a lot of work”. Execute this activity 60 minutes a day. Ideate on what an ideal customer would be for your company. Think hard and be creative on what kind of customer would you want and try not to be multitasking while working on this. It’s challenging to be creative when you’re distracted so make sure you’re conducting this process in a distraction-free zone. If you already know your ideal customer, there’s more you can think of. You need a lot of segments to increase the range of potential marketing channels you can tap into. Stay close to your product category and find specific audiences for it. You don’t want to target the world but you also don’t want to be too narrow. Create a specific audience instead of a narrow persona. Designers who read Web Designer Depot. All viewers who read HackerNews. All viewers who read IndieHackers. All viewers who read Web Designer Depot. When you target a specific audience, you can guide your content in what can mobilize that audience. Whether it’ll be a click, a retweet, or a clap (if you’re into Medium), specialized content will increase your odds of success. The key is to not overcomplicate the process. It took me 2 minutes to create 5 items. Do you think it would be too hard to think of 50 audience segments? How about in 1 day? For one hour? Execute this activity 120 minutes a day. Now that you have some narrow audiences, it’s time to execute on validation. Find content on platforms targeting the same audience. If you were in your audience’s shoes, what would they search for, what posts would they like, what makes them happy? Comb through comment threads on Twitter or LinkedIn. Look for a competitor post or topic-related posts that have similar targeting goals. Search through Quora and other Q&A sites to find problems your audience has today. Search for your audience’s pain points on social media and validate if the results match. You’re looking for clues that point to the same conclusion that you reached in your first routine. 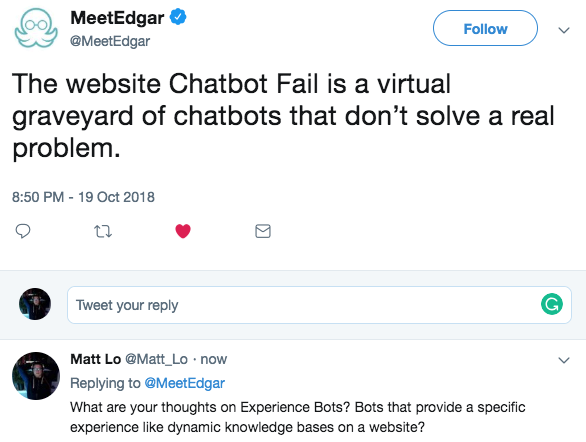 For GetChipBot, I’ll go on Twitter’s Search Bar and type: #chatbot problems, then I’ll do another search for #chatbot issues, and then I’ll try to find faq solutions. I’m reading carefully for anything that will tell me is this a worthwhile audience or not. Lurking in the search results on Twitter is a great way to see real-time discussions from your potential audience. Don’t lurk too long though, timebox it for 20 minutes. It’s easy to do this for the rest of the day but you only need a small sampling to make a conclusion for each audience. Your goal is to see if your audience hypothesis was right. This is also a great opportunity to talk to your potential audience and confirm your findings. Engage while you’re searching, it doesn’t matter if the account is from a company or an individual. Create a list of keywords you think your audience types about and review the top blog posts. Use keywords with 3 or more words to narrow the segment. You’re looking for key posts that address your audience directly with quality content. If you’re stuck on keywords, try Google Search Console on your own website to start. Ensure all the Google results you’re reviewing are organic. Paid traffic isn’t a good indicator since many ads use broad audiences (there’s a green “Ad” icon for paid traffic). Look for other websites trying to capture your audience. You want to see who spent the effort on their SEO process, to be ranked on the front page of Google, and why. Look for key phrases throughout the post and see how the post’s call-to-action relates to your audience. Review any comments and any potential link backs at the bottom of the post. These posts won’t always lead to buying a product, but you’ll get a gist on why they’re targeting these people. Find where your audience encounters the most pain and answer those posts. Search using identical keywords you used for social and Google. Set your filter by “1 Hour” if you intend to answer but use “All Time” if you’re simply searching. Your goal is to get about 15 upvotes on Quora, across all answers, per audience segment. If you’re having difficulty getting upvotes, you may need to tweak your segment. Also, ensure your answer is well structured and thoughtful. Bad answers will only waste time for both the original poster and your research time. There’s so much data available to you for free, don’t leave it on the table! Execute this activity 240 minutes a day. This is the moment you’ve been waiting for: creating blogs, posting on social media, and answering targeted Quora questions. Before you go post, organize your marketing channels to match specific content pieces. This is your time to go on the offensive and create your attack strategy. Now you post. It’s easy but time-consuming, and you most likely already know how to do this. I always tell others that this process is like annoying parts of software development (like cross-browser testing). Luckily, this is a well-saturated topic and you’ll most likely have your own opinion on what type of content you want to create. I’ll list some of the key tips and resources that were differentiators for me. Unique case studies from 6 other startup founders. 4 steps to effortlessly boost your SEO traffic. Bonus ✨: Use the trial version of Ahrefs.com to find out your competitor’s web of backlinks. 500 Social Media Marketing Tips. At first, I thought this was going to be a terrible book because the title seemed it was for noobs. But I was wrong, the quality and relevant topics are there. Facebook Video Tips. I find it more successful to concentrate videos on Facebook and Instagram. For some reason, the attention span there is much different than anywhere else. Bonus ✨: Use Buffer to schedule your posts 30 days out across Facebook, Twitter, Instagram, and LinkedIn. Please don’t bother with Google+, they’re dead. Post on subject matter expertise. Quality > Quantity. Although this tip is the same for everything else, Quora seems to be sensitive to bull****. 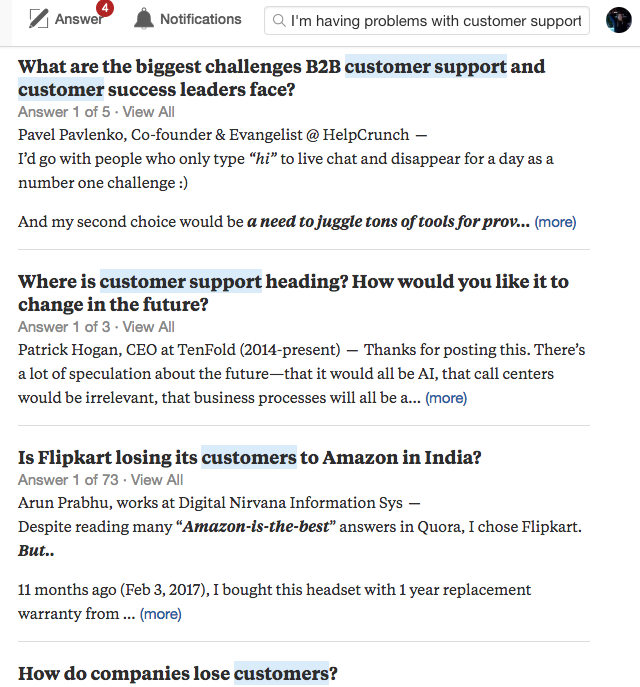 Bonus ✨: More tips on Quora, from a Quora answer! Execute this activity 90 minutes a day. After hitting publish on your blog article and social media posts, start promoting it. The easiest thing you can do is log onto your personal account and promote your posts to 1st-level contacts. Not all of them will understand your post but you’ll receive some intimate feedback and opportunity to start conversations in the open. 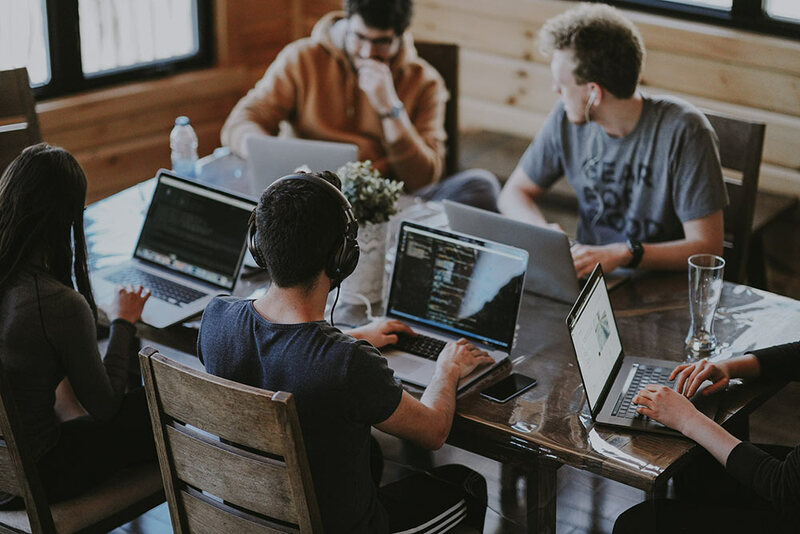 Once you exhaust your network, go on Reddit, Facebook Groups, Slack channels, comment sections, and niche forums to create conversations around your content. Remember to only target certain groups and channels that match the audience. I’ve had the most success by trying to find conversations, even if it’s a couple days old, and try to jump start it with a few messages. This works really well within Twitter conversations as well. I usually only link back to my posts once I’m ready to prove a point or provoke some deeper thought. Please do not mass post without creating conversations first and don’t ask for a like or upvote. It’s the equivalent of walking into a happy hour and yelling LOOK AT ME as loud as you can – Don’t be that person. Your initial goal is to validate the content. Your Twitter follows and conversions can wait. If you have a blog article, create a relevant excerpt for sites like GrowthHacker or IndieHacker. This allows you to post some original content, gain traction, and create a Linkback opportunity. You can use this for your Twitter posts too! Have a hot take on social media? Make a small post on a high-traffic website to talk more details on it. Execute this activity 30 minutes a day. Create your key performance indicators. You’ve gone this far, don’t let all that work go to waste by not measuring it. Don’t waste any effort. Collect all the data! Remember, marketing is all about the odds of success. I’ve put together some metrics to look for but this is not an all-inclusive list. Use it as a starter template for you and measure it daily. Over time you’ll be adding more items to the list that are important to you and your business. I would expect your version of this list to be two times larger after 30 days. Web traffic sources and referrals from Google Analytics to ensure your Linkbacks are working. Social media post frequency to measure how well you’re maintaining your audience. Replies should count towards your frequency. Social engagements across all your active social media accounts. Sentiment analysis on your social media conversations, comment replies, and forum threads. Analyze to see how your content and discussions mobilize your audience. Quora stats to measure how well your answers are performing. Higher performing answers can help lead to future content ideas that can amplify your audience. There’s a dedicated page on this on https://www.quora.com/stats. Conversions. This will be a lagging indicator, but keep an eye on what moves this metric. A lot of founders think publishing your blog means you are done and you can work on the next one. But that’s not true at all. You should be editing your content monthly on your top performing blogs. Research why some of your blogs are performing better than others. Then amplify your winners to reach new heights. This article you’re reading right now will be going through several revisions over the course of several months. I’m going to be researching which keywords are landing here, researching pages that are ranking higher, and finding which sites are linking back. Your content never stops breathing. Keep iterating and asking for feedback until you have a slam-dunk piece of work. Every Friday, I review what went well, what didn’t go well, and what are my action items for next week. You’ll be amazed at how much quality information you can get out of this just be reviewing your own work. What were the top 5 social media posts and why? What were the bottom 5 social media posts and why? Which blogs are working, which aren’t in the past 30 days, and why? How many conversions did we gain from organic marketing and why? How do we improve our entire process by 10% for next week? Is our content fun for us or should we pivot to other topics? This so important to measure in retros. If you’re not passionate in your content, your audience will pick up on that. Google could also be measuring this too and not telling the SEO community. Marketing is hard, especially if your background is in creating products (like mine!). This blog post is intended to rewrite your habits so marketing is sprinkled in your morning or afternoon routines, even if you have little experience in marketing. It’s all about doing it, consistently. I’m not the best writer in the world, but that doesn’t mean I shouldn’t find time to blog 2 or 3 times a week. Routines help create new habits and it should feel uncomfortable at first. If you found these marketing routines to be helpful to you, spotted an error, or have a question, I’d like to know. Reply back in the comments below or reach out to me on Twitter @Matt_Lo. And if you want to make sure you’re maximizing on your marketing success by providing automated customer support on your website, check out my product ChipBot.